The buildings are in the style of Hassan Fathy and reflect the designs evoked in The Book of a Thousand and One Nights. Sheherazade is the name of the beautiful storyteller from the same book. Inspired by this architect, Mohamed Elsanosy vowed one day to build the hotel of his dreams. Six years later, the Hotel Sheherazade is the fulfilment of this dream. The design of the hotel reflects the flavours of a traditional Islamic style whilst offering all modern amenities included WiFi internet access. We are also one of the few hotels in the area which uses solar panels to reduce our carbon footprint. 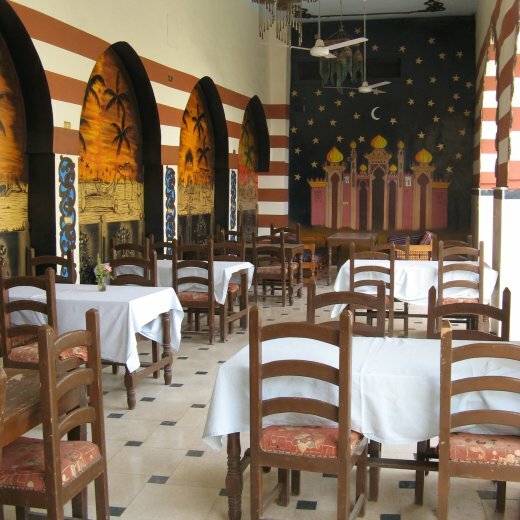 Luxor airport is just 30-minutes away; a scenic journey through rural farming villages. Ideally located far from crowds & noise, it is an oasis of calm in a green & shady garden.